Xbox 360 users will now get the chance to surf the web. 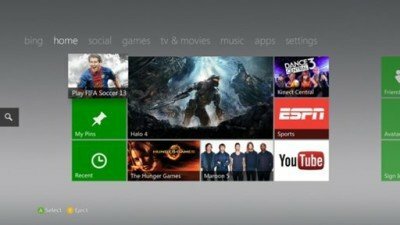 The Xbox team announced an update to the Xbox 360 Dashboard that marks the beginning of many new and exciting stuff, the most notable being the inclusion of the Internet Explorer browser. In addition to a refreshed dashboard with many tweaks to the User Interface, you will also get the power to browse the web, find and view internet content on the biggest screen right from your gaming console. The Software giant has already started rolling out the official release of the update for the Xbox LIVE Gold subscribers worldwide and the release is expected to reach all subscribers by next month. Microsoft also announced this week that along with Windows 8 it was also planning to add 30 million music tracks to its Xbox Music service on Windows 8 tablets and Xbox 360 consoles. The service would let users stream music for free, create custom playlists and do a lot more so long they’re willing to hear occasional ads. Recommendations and Ratings – The feature will let you discover new favorites based on the content you previously viewed or what is getting popular among the Xbox community. Moreover, you will get the chance to rate the content yourself. Pinning – It will help you in personalizing your dashboard by saving your favorite movies, TV shows, games, music, etc. Just open your favorite app or a movie and click ‘Pin’. Enhanced Search – In the last update, Bing voice search feature was introduced to the Xbox to search for content of your interest (Movies, TV shows, artists, etc). Now, a new attribute has been added to the list – GENRE. It would allow users to search for content with more options, like comedy, drama, action and romance. Apart from this, there are many more features being introduced. You can read all about them on this page. It seems Microsoft has been taking all these efforts to boos its Xbox 360 sales this year. Will it be a success?